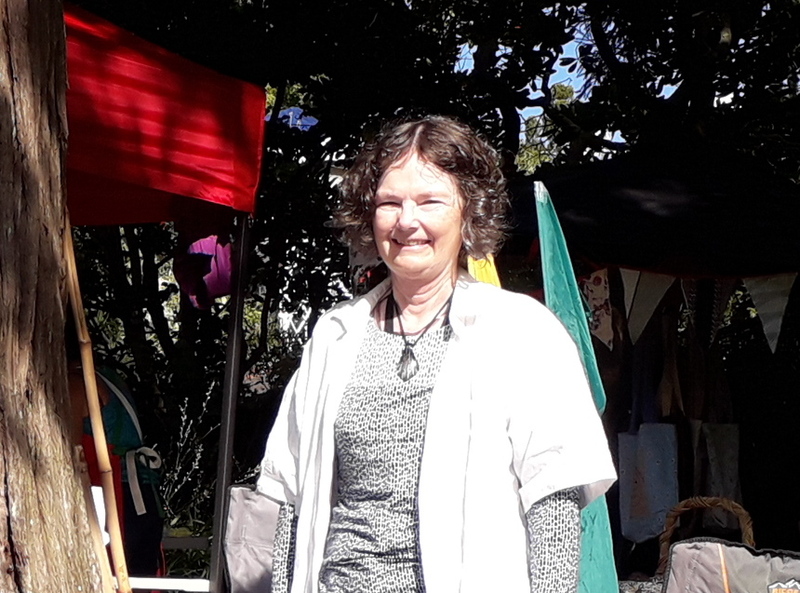 Alberton Historic House kindly invited STEPS and Friends of Oakley Creek to share a stall at the Market Day on February 10 2019. As always, many hundreds of people attended. 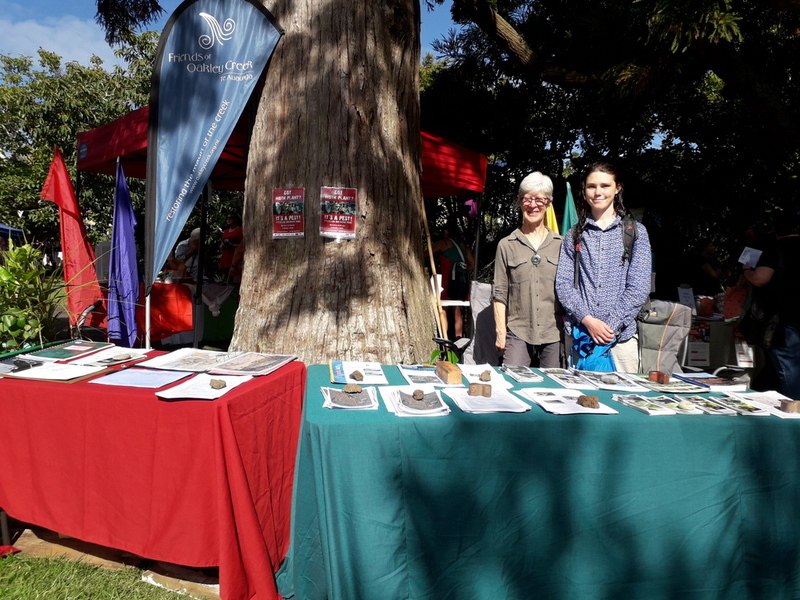 Most stalls provided a range of crafts and food – while ours was unique in providing information about water quality, weeds and mountain to sea walks. 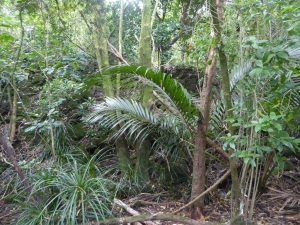 Sel Arbuckle had collected a barrow full of weeds (including palm grass, chinese and tree privet, date palm, spindleberry, moth plant, woolly nightshade) and weeds were certainly a focus of interest for the majority of visitors. Many took Auckland Council/ Forest and Bird pamphlets to educate neighbours with moth plant being the all-out favourite! We were pleased also with the number of volunteer and potential members who signed up for both groups. Wendy John said: From my experience, today was probably one of the best with regards to people being interested in various issues – especially the weeds. I was very pleased with how many people knew, were concerned and were, already doing something about some of them – especially mothplant and woolly nightshade. Another great collaborative occasion! 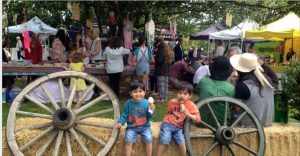 Thanks to Rendell Francesca & Alberton team, our visitors, Sel, Wendy, Ngaio, June, Julie, Xavier, Josh & Liz for making the day such a success. Sunday 10 February – come along to the popular Alberton Market Day. 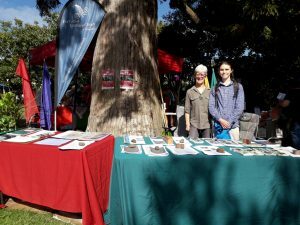 Join STEPS and Friends of Oakley creek at our stall just inside the gate under a big shady tree from 10 am – 2pm.